Looking for a quality vehicle while keeping to a budget? 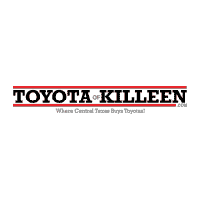 Our used vehicle inventory at Toyota of Killeen might just have what you’re looking for. We have a wide selection of used Toyota vehicles in stock as well as other makes and models, so you’re sure to find the pre-owned car, truck, or SUV that suits your needs. Additionally, you can browse our selection of pre-owned vehicle specials to find the best possible deal on a car you’ll love. CARFAX One-Owner. Clean CARFAX. Super White 2018 Toyota Tacoma SR RWD 6-Speed Automatic 2.7L I4 DOHC 16V Bluetooth, Hands-Free connection, Premium Audio, Cruise Control, Keyless Entry, Power Locks, Power Windows, has passed our detailed safety inspection performed by our certified technicians, ABS brakes, Active Cruise Control, Electronic Stability Control, Illuminated entry, Low tire pressure warning, Remote Keyless Entry, SR Convenience Package, Traction control. Recent Arrival! Odometer is 7367 miles below market average! CARFAX One-Owner. Magnetic Gray Metallic 2018 Toyota Tacoma SR RWD 6-Speed Automatic 2.7L I4 DOHC 16V Bluetooth, Hands-Free connection, Premium Audio, Cruise Control, Power Locks, Power Windows, has passed our detailed safety inspection performed by our certified technicians, was bought here and serviced here, Remote Keyless Entry, SR Convenience Package. Recent Arrival! Odometer is 6934 miles below market average! Whether you’re looking for a used Toyota Camry or a completely different make and model, our staff is here to help you find the vehicle that best suits your driving needs and budget. Along with our full used inventory, you can also narrow down your search by browsing our certified pre-owned inventory or our selection of vehicles priced under $20k. Once you’ve found a vehicle that catches your eye, make the trip from Temple to our Killeen dealership for a test drive. We can’t wait to help you get behind the wheel of a used car you’ll love.